CHAPEL HILL, N.C. / January 15, 2019 – The ethical dilemma of using identifiable facial photographs of cleft lip and palate (CL/P) patients was the topic of a recent article published in the January 2019 issue of The Cleft Palate-Craniofacial Journal (CPCJ). In many clinical disciplines, patient photos are used for treatment planning, documentation, patient counseling, and assessing postoperative outcomes. Patient photos also aid in the education of medical professionals and help to improve patient care. The focus of the study examined how to balance these clinical needs for photos with the importance of protecting patients’ privacy. The study, Guidelines for the Ethical Publication of Facial Photographs and Review of the Literature, examined patient consent policies and forms found through applicable searches of the PubMed electronic database, as well as the websites of major societies and journals. Researchers noted any guidelines that indicated how photographs should be appropriately used and published. Legal requirements for clinical photography in the United States, Canada, the United Kingdom, and Australia were reviewed. All existing guidelines that were reviewed included provisions for obtaining a patient’s consent for use of clinical photos. When a patient photo is published, guidelines require that all identifying information (medical record number, dates, names, etc.) be removed. Results also noted that the use of “masking”—placing dark bars over the eyes, nose, or mouth of the patient—has been largely abandoned because it is not effective in concealing the patient’s identity. Researchers from University of Michigan Medical School and Cooper University Health Care also examined the impact of publishing patient photos online via the Internet and social media, and the need to inform patients about the possibility of their likeness going “viral”. The study’s authors recommend that patients be contacted to confirm permission to publish their photos if signed consent was given more than one year prior. They also suggest that patients be given an opportunity to review the final photos within context of the article or document to be published. “Our commitment should always be to ensure the safety and well-being of our patients. To that end, we encourage our colleagues to periodically review their guidelines for signed consent in using patient photos in any published form, and make adjustments as needed,” Bennett said. 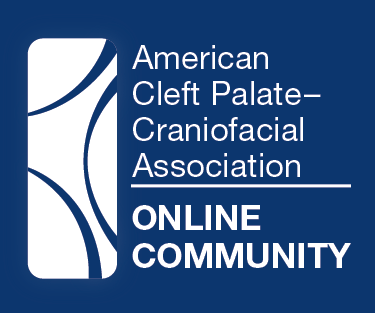 To learn more about the association and cleft and craniofacial conditions, please visit acpa-cpf.org. The American Cleft Palate-Craniofacial Association (ACPA) is a nonprofit 501(c)(3) association of interested individuals and health care professionals who treat and/or perform research on oral cleft and craniofacial conditions. Since 1943, ACPA has worked to optimize outcomes for individuals with oral cleft and craniofacial conditions through education, support, research, advocacy and interdisciplinary team care. ACPA also provides information to affected individuals and families and seeks to educate the public about facial differences through its ACPA Family Services program. For more information, please visit acpa-cpf.org.